The 2018 iPhones are still months away from being officially unveiled, but rumors about next year’s models have already started doing the rounds. 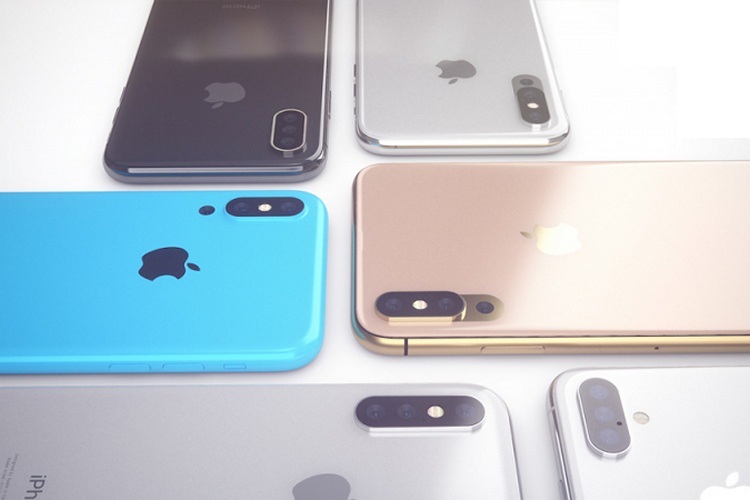 The latest report about the 2019 iPhones come from Taiwanese publication Economic Daily News, which says at least one of the devices from Apple’s next year’s lineup will have a triple-camera setup on the back – we have heard this one before. But the report comes goes on to detail how Apple would use the three cameras. One of the cameras would supposedly have a 6P lens design with 5x zoom, but it didn’t specify whether that pertains to optical, digital, or hybrid zoom. Meanwhile, the latest report, which cites a research note from Deutsche Securities analyst Jialin Lu, also states that the elaborate setup will come with enhanced 3D depth-sensing for augmented reality purposes. According to Lu, the third lens on the back will apparently have a longer focal length to enable 3x optical zoom, which may not sound as path-breaking as the 5x optical zoom that was reported earlier, but will still be a welcome change over the 2x zoom that the current-gen iPhones (8, 8 Plus and X) offer. It is worth noting that the Economic Daily News is not the only Taiwanese publication to be reporting about a triple-camera setup on the 2019 iPhones. Earlier this month, Taipei Times had also cited a research note from Yuanta Securities analyst Jeff Pu to report that Apple will launch at least one new iPhone model with a triple-lens rear camera next year.